I had a hard time concentrating on this book. It seemed to go on and on about things that weren't pertinent to the story line, and then it would move quickly through the interesting parts. Mostly, I wish the gypsy world and the love story had been more developed. The ending was also very unsatisfactory. If you are looking for a mystery novel, this is not one. I see that it's been categorized as a mystery by some, but I don't agree. This was such a fun series. It was humorous and action-packed. Evie is the cutest main character ever with her feisty attitude and how she says "bleep" in place of every swear word. I liked all of the books in this trilogy, but Endlessly was my favorite because it's so fast-paced. When I was only 1/3 of the way through the book, I couldn't believe how much had happened already. 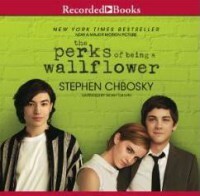 I definitely recommend the audiobook format for the whole series, including Endlessly. 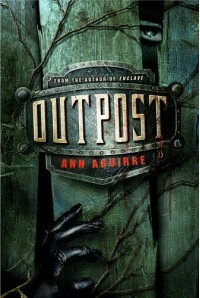 They picked the perfect narrator and her voices add a lot to the story. I liked this book a little less than Enclave. It started off slow. Life in Salvation and the love story bored me, but of course, we saw some action towards the end of the book. The setup for the last book in the series was really good, so I'm excited to read that one asap. I can’t help but compare The Mortal Instruments series to The Infernal Devices series. So far, The Infernal Devices was SO MUCH BETTER. 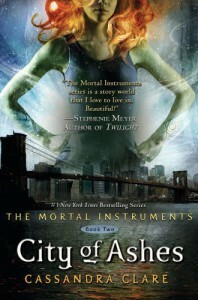 But if I stop comparing them for just a second, City of Ashes was still pretty good. The characters: Jace could be a very likeable character if he wasn’t head over heels in love with his sister. He’s not trying to fight it or hide it, and it’s just wrong. There was a whole conversation around being together but just hiding it from everyone else and it weirded me out. Clary was at least trying to fight her feelings… for a while. But really, they barely knew each other when they found out they were brother and sister. It’s not like they had been in love for years. They should have been grossed out and moved on. Alec and Isabelle are pretty underdeveloped characters so far, especially Alec. I feel like all we ever hear about him is related to his sexual orientation. Since they’re Shadowhunters, I was expecting them to play more important roles in the story, like all the Shadowhunters of the Institute in The Infernal Devices. Shoot, I’m comparing the series again. 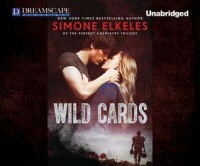 The plot: Simon has the worst luck in this book. Everything that happened to him was way more interesting than what was happening with the inappropriate brother-sister love situation. 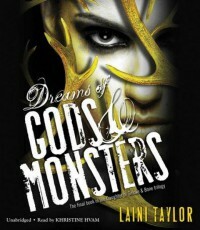 I’m not ready to jump on the TMI bandwagon yet, but I’m going to keep with the series and see how it goes. I don’t know why I thought I needed to finish this series. 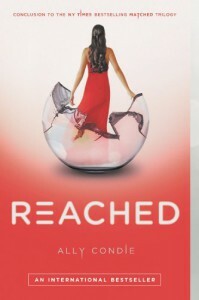 I wasn't blown away by Matched and I was bored by Crossed, but Reached was definitely the worst. The characters: The series has ended and I still feel nothing for the characters. I can’t relate to them all. And why does Cassia like Ky all of a sudden? Why didn't she notice him any of the times they hung out before her match banquet? More importantly, why do Ky and Xander like Cassia? What is it about her? She likes poetry and she can “sort” and that’s about all I got out of it. This was a stupid love triangle, too, because everyone knows how it’s going to turn out. The plot: It was so underdeveloped. The Rising takes over on one page and the next page is 3 weeks later. How did the people react? How did the government react? How did things changes? We will never know. So much of this series was bland and unimaginative. One reviewer said that maybe the characters were shallow and the names of things like “The Society” and “The Rising” and “The Outer Provinces” were like that to show how uncreative and suppressed this dystopian society is. That's an interesting point, but I don’t agree that it could explain the shallow development of the characters. At least Ky and Xander should have more depth since they've been fighting The Society since day one and they should be different than all the other mainstream citizens. Bottom line: There are way better YA dystopian trilogies out there; don't waste your time with this one. I loved this book. While the cover is awesome, it’s more romantic than the contents. 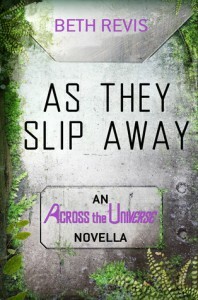 This is primarily a sci fi book with a little bit of romance thrown in. The chapters alternate between Amy’s point of view and Elder’s point of view. Amy’s first few chapters really got my heart pounding and sucked me into the story. It took me a little longer to get interested in Elder’s story, but only a little. A lot of people have shelved this as a “mystery” novel, and for good reason. I wouldn't say there are any extremely surprising plot twists, but there is definitely a mystery and it's complex enough that I don’t think most people could figure everything out ahead of time. I had a big part of it right, but I hadn't figured out all the little details that made it work. Guess what? This is a YA book with no love triangle! There is some romance, but it’s pretty minor in this first book. I’m predicting the next book in the series is going to get more into that part of the story. My only complaint was the description of all the “activities” that took place during the season. I thought some of it was unnecessary. That’s just a personal preference, though. Hint: “The season” is the time when people on board the ship mate with one another. Like animals. Lastly, the book’s ending did a perfect job of making me wonder what Elder will do next. Update: After reading Across the Universe, I have to subtract a star from this short story. Why did the author want to give us more background on the most disgusting character in the entire book? I have no idea how this will tie in to Across the Universe, but I can't wait to find out. It was a beautiful, sad, creepy story and it should have been twice as long. 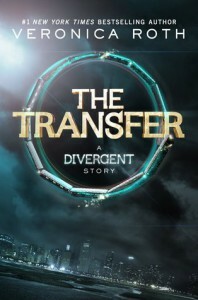 If you read the blurb for this book and thought it might be a rip-off of The Hunger Games, don't worry. It's nothing like The Hunger Games and cannot possibly be considered a rip-off. In this book, a bunch of idiots (and they're not just idiots because they are teenagers, they are actually incredibly stupid people) play this game where the chances of getting hurt or dying are pretty astronomical. They act like the prize money is so worth it, but really it's only $63,000 or something like that. Enough to risk your life for? I think not. Although I don't think any sum of money is worth risking your life for, really. Some of the players lived in trailer parks, but they weren't starving and they shouldn't have been that desperate. Just past the middle of the book there was some intrigue that held my attention, but it dissolved quickly. From there, the book was made up of one bad decision after another. Lastly, the ending did not fit the story. That's all I'll say so I don't give anything away. 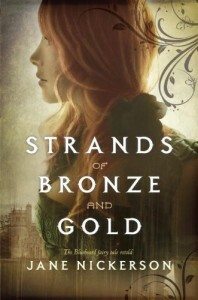 I cannot quite give this book 4 stars because I liked it slightly less than the first two books in the series. Parts of this book dragged on and I lost interest. I enjoyed how everything fit together in the end, but some of the buildup had me a little bored. Maybe the book was a bit longer than it needed to be, or maybe it was just a timing issue on my part. 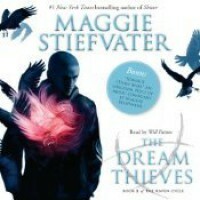 If you're into audiobooks, I definitely recommend listening to this series. The narrator's voices are awesome. Since this is a retelling of a fairy tale that many readers will already know, I was hoping for a lot more suspense. The majority of the story dragged or had me rolling my eyes at how stupid the main character was being. 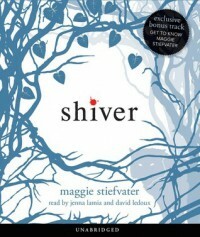 Overall, I still liked the book and its setting. This is the first baby book I've read, so I really don't have anything to compare it to yet. I love how many topics it covers, though, and all the questions it answers that I hadn't even thought to ask. 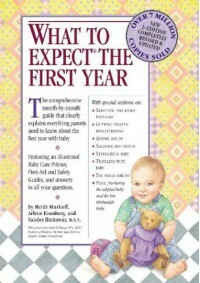 I'm looking forward to using this book as a reference once the baby arrives, especially the milestones it lists for each month. Words cannot convey how sad I am that I have to wait for the next book. It doesn't even have a title yet! Anyway, The Dream Thieves. What a perfectly complicated story. Rarely have I read a second book in a series that's as exciting as this one. 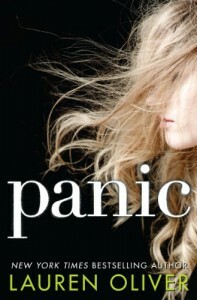 The majority of the book focuses on Ronan Lynch, my favorite character. We learn all of his deepest secrets, although one of them is so subtly shared that I'm hoping we get to hear more about it later (and I'm sure we will). If you have not started this series yet, do it now. It's so good. 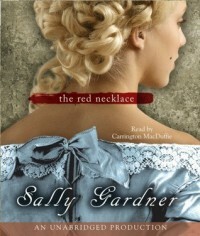 This was a hard book to rate because it was very good, but I really did not like it. So, I compromised and gave the book 3 stars. The reason I didn't like the book is simple. I don't like being sad. I don't find it entertaining to read awful, heart-wrenching books. I honestly wouldn't have finished the book if I hadn't paid for it. I don't need to read about these things in order to be reminded that they happen and they're a real problem. I know that. I don't need to read about these things to see that I have it off so much better than other people. I also know that, and I am grateful for it every single day. All this book did was make me very sad and I see no point in that. DNF at 35%. I cannot read another sentence about how much Ashtyn and Derek hate each other but really secretly love each other. Seriously, Derek knew Ashtyn for less than 24 hours and was already contemplating how her eyes change colors with her moods. He didn't even know her moods yet! Also, the book blurb says Derek is a bad boy, and I can't understand why it would say that. He may be a class clown, but he is not a bad boy. His little step-brother loves him, he wants to take his step-mother to the supermarket and teach her what vegetables are, he takes it upon himself to mow the lawn and paint the shed without being asked, and he avenges Ashtyn when she's humiliated even though he's only known her for a day or two. What's bad about that? This book wasn't poorly written, I just didn't find it interesting. We only read about two encounters between Grace and Sam while he's a wolf, and then he turns into a human and it's instant love between the two of them, starting with a very awkward and unromantic first kiss. I would have liked a little more buildup.